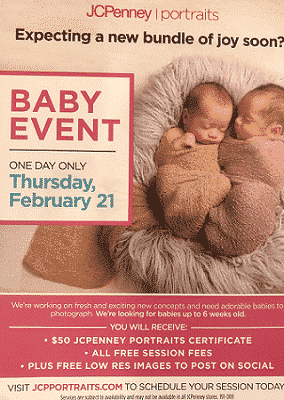 JCPenny Portraits is working on fresh and exciting new concepts and need adorable babies to photograph. We are looking for babies up to 6 weeks old. Visit jcpportraits.com to schedule your session.